Big updates all around on Dig. After an extremely stressful two weeks where I was literally freaking out about whether we could get everything we needed (I will be doing a post, after we complete production on Dig, about the differences between directing and producing and how you should never be forced to do both) However, it seems that everything, in typical fashion, is coming together. In addition to the two lead roles, played by Mark Margolis and Aaron Himelstein, we have four other supporting roles that we needed to fill. Luckily, there are some really amazingly talented actors out there and I'm privileged to have them be a part of this cast. 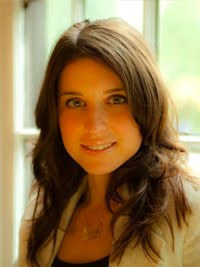 Tiffany Brouwer will be filling the role of Marie. Tiffany and I previously worked together on The Ronnie Day Project for Epic Records, SonyBMG and mtvU in 2007 and I'm excited to be working with her again. Former Miss Germany Bella Dayne has joined the cast in the role of Diane. In addition to bringing her talents as an actress, Bella also speaks German fluently and will be assisting us in the little but very important German dialogue we have in the film. 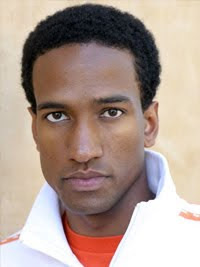 Voltaire Rico Sterling, who appeared in the Denzel Washington directed Great Debaters also joined the cast. We're still in the process of casting one more male role for the coffeeshop scene and will have an update for you when we've locked the part. Meanwhile, on the production front, things are going very smoothly. To help facilitate things (and allow me to focus on directing, NOT producing) I've brought on Jatin Gupta, a great producing talent who I worked with on the W&CK music video 'Get Your Drink On' and on Mateo's 'Get To Know Me: Live at Swing House' productions. He's been able to remove a lot of the day to day producing requirements (getting equipment, cameras, crew, etc) away from me, allowing me to concentrate on my directing prep. Amanda Riley will be our Costume Designer. Since this film is set in 1962 there was no way we could get away with not having a costume designer and we were looking for somebody really strong, experience, knowledgeable about the time period and willing to help us out due to the limited budget we have. Amanda fills all those needs and more. She's been a set costumer/key costumer on Jericho, The Starter Wife, Superhero Movie and a costume designer on the Spike TV series Deadliest Warrior. Andrew T. Grant, property master on CSI:NY and The Shield, among others, will be serving as prop master for Dig and helping us with the firearm in the film. I've worked with Andy on Dark Prophecy: A Level 26 Thriller and he's a fantastic guy, a great prop master who does some really fantastic work. I'm really excited to have such a pro handling this aspect of the film. Thanks to Jatin, it looks like we're going to get an amazing on a RED MX package. It's going to be a full pro package that coincidentally includes the exact prime lens set Paul and I are looking to shoot on. Now, we're just looking for one more RED MX package, so we can shoot on two cameras and we'll set. After that, it's some minimal work on set design and costumes (approving, choosing, etc). Looks like we'll have all of our insurance, permits and crew locked down by the end of the week! One thing is that we're still raising money. We've had some amazing contributions so far, we're 43% funded with only 22 days to go! Please consider making a donation. You can do so by clicking the box in the upper right corner of the blog. As you can see, we have a lot of people helping us out on this project and we still need to make our budget to make this short happen!